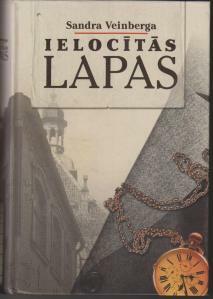 The first novel called “Ielocītās lapas” (Folded Pages) written by Sandra Veinberga, the famous journalist and publicist, Doctor of Philosophy, who lives and works in Sweden, has been released. According to Daiga Lapsa, the public relations project manager at Publishing House “Preses Nams”, the novel has been published by the Stock Company “Presesnams”. “I felt it as my duty to write this novel to convey things that cannot otherwise be conveyed either by being a journalist or a scientist. The chosen genre allowed me to express them in the most precise form. I have written in artistic manner about things which happened in the Eastern Europeon the second half of the 20th century,” Veinberga explains the creative process. Novel presents authentic historical facts and reflects the fate of an occupied nation. It tells about the fate of certain people and a small country which will definitely be recognized asLatviaby a Latvian reader. “That is the most effective method,” says the author and adds “the novel represents several controversial things and thus I see it as a challenge to historians”.